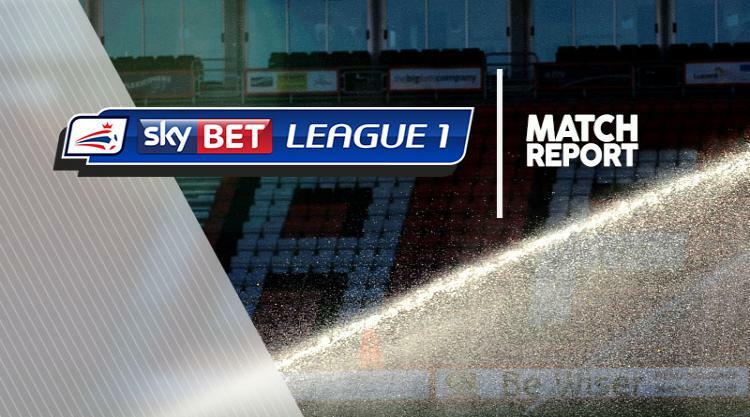 Bradford maintained their Sky Bet League One play-off push with a 2-0 win at Bury. James Vaughan spurned two good chances for the hosts before Mark Marshall broke the deadlock after 56 minutes. Charlie Wyke then tapped in Bradford's second in the 84th minute to make it back-to-back wins and close the gap on second-placed Bolton to seven points. The Bantams started strongly, with Alex Jones heading over from a Marshall cross while Wyke's shot was saved by Joe Murphy. Marshall then tested Murphy at his near post before Bury replied with Vaughan and Jacob Mellis firing wide in quick succession. Marshall struck straight at Murphy right on half-time, while Callum Styles and Vaughan were off target for the hosts after the break. But Marshall cut in from the right to open the scoring, curling into the bottom corner from 25 yards. And although substitute Jordy Hiwula was denied by Murphy, the Bradford substitute later squared for Wyke to convert his seventh Bradford goal and leave Bury one point above the relegation zone.